We invite you to join our dental family. Most of our patients have become our good friends, and are a happy part of our day. New to the office or have specific questions? If so, contact Nancy Moraguez our Practice Administrator directly at 305.233.8000. 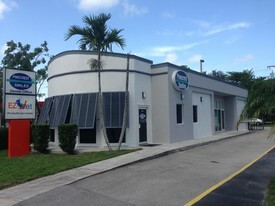 Our practice is conveniently located on the east side of South Dixie Highway and 120th Street. For after hour emergencies, please call (305) 233-8000, and follow the information.